Wyoming is a distinctive suburban community, in that it contains representative examples of housing styles that range from the Early Vernacular of the 1800s through Victorian Italianate, Eastlake, Queen Anne and Shingle styles, into early twentieth century American Four Square, Colonial Revival, Bungalows and Tudor Revivals, followed by Post-War Ranch homes and individually designed Mid-Century Modern homes. It also is unique because these styles can be found in houses that range from modest dwellings built for laborers to extravagant homes commissioned by company executives, sometimes in the same block. Many of these houses have been recognized through inclusion in the Wyoming Village Historic District, nominated to the National Register of Historic Places in 1986. In addition to the Village District, there are 18 homes scattered throughout Wyoming that are individually listed on the National Register of Historic Places. Many other homes in the City are worthy of recognition and preservation even if they have not, as yet, been formally listed. To learn about the process for qualifying your home, visit the National Register of Historic Places website. Wyoming’s individual historic homes and the Village Historic District are not museums, but a living part of the community. The historic homes and their grounds reflect the growth, values, and ideals of generations of Wyoming families. The repair, renovation, and renewal of older homes can be a major and on-going project. Equipping a home with the most modern amenities is as desirable today as it was 50 or 100 years ago. The footprint or facade of many an old house has changed over time, reflecting this human urge to improve. It is important, however, to consider what it is about a home that gives it its unique historic character. These are the features that when altered or removed result in a loss of the historic fabric of the community. There are many resources available to provide guidance as to what features are important to preserve on a historic home and how to treat them when undertaking renovations to a home. A good starting place is the Secretary of the Interior’s Standards for the Treatment of Historic Properties published by the National Park Service. Timely repairs and sensitive alterations will help preserve the character of a historic home for generations to come. To access the Historic Preservation Commission’s page, click here. 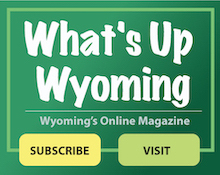 To view the Wyoming Historical Society’s page, click here. The Wyoming Historic Preservation Commission is pleased to present to the Wyoming community the newly developed Design Guidelines for Historic Properties. These Guidelines have been developed to ease the process of maintaining a home’s historic characteristics by providing information about a wide range of features – from foundations and roofs to doors and windows – related to Wyoming’s varied historic architecture. Caring for a historic home is both a challenge and an opportunity for homeowners to protect the past while preserving our neighborhoods for future generations. Please take an opportunity to view the Design Guidelines for Historic Properties by clicking here.